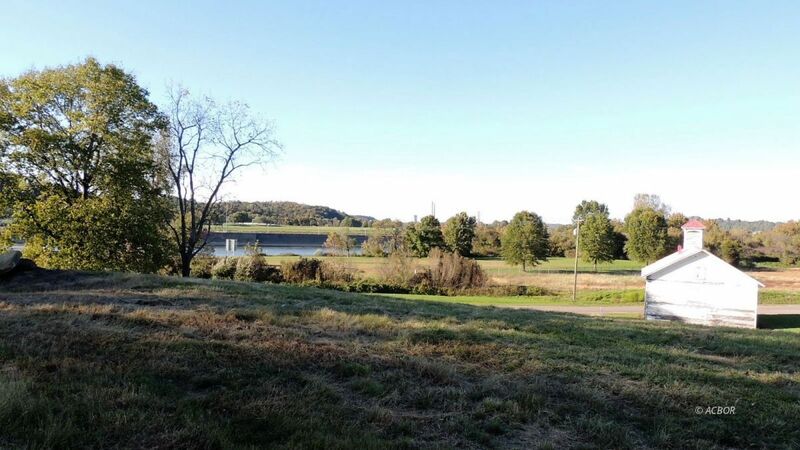 Perched on a flat bench overlooking the beautiful Ohio River, this property offers a prime building site with plenty of room for your very own mini-farm. Because of the proximity to the Ohio River and the premium quality soil, your garden will be the envy of all your friends as you will be able to plant (and harvest) about 2 weeks sooner (according to the seller) than most other areas in the state. Adjacent to the 8.17 acre (m/l) building site, and included in this listing is a 4.6 acre (m/l) field fully fenced for cattle with gates on two sides for easy access from the home-site or from Plants Road. Electric, public water tap and gas are already on the property. There is an old church at one end of the property which could possibly be salvaged. There is also a concrete block garage/outbuilding which is in usable condition. All mineral rights, including coal rights convey according to the owner. Property in this area and of this quality rarely goes on the open market--don't miss out! Qualified buyers only. please.